Hey there lovely brides-to-be! 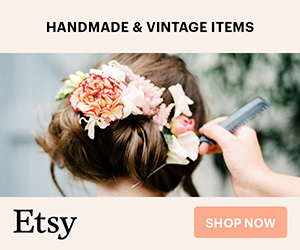 I’m back with some more tips to help make your big day even more stylish! 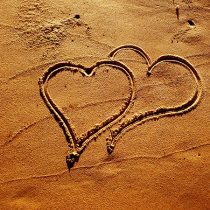 So at this point, I am sure that you have already picked out your beach location of choice and assembled your entire décor plan. However, there may be something that you’re forgetting. 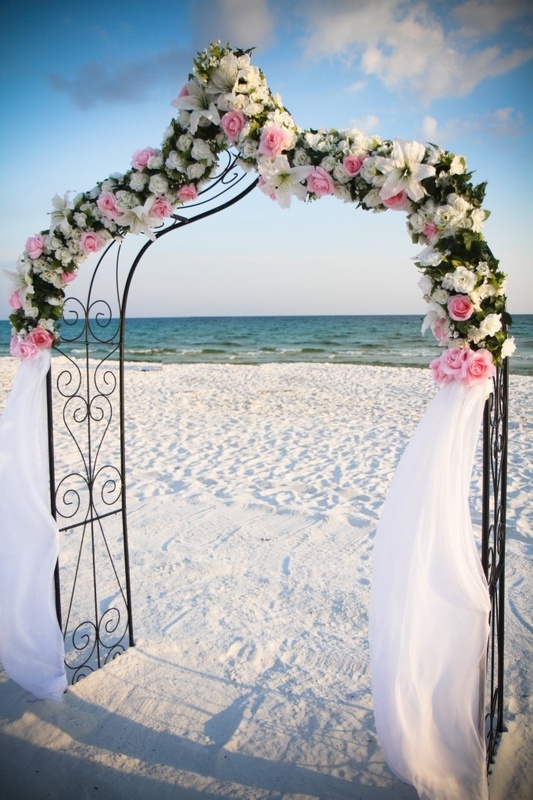 Have you thought about adding a beautiful beach wedding arch to your ceremony? I highly suggest it! 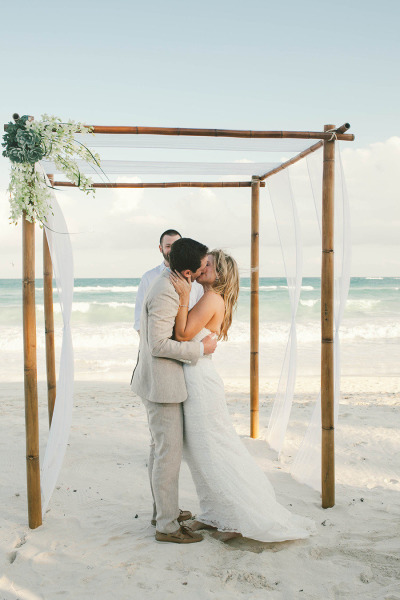 Even though you have the breath-taking backdrop of the ocean behind you as you say your vows, a beach wedding arch will add that extra pop while framing your precious moment for years to come. 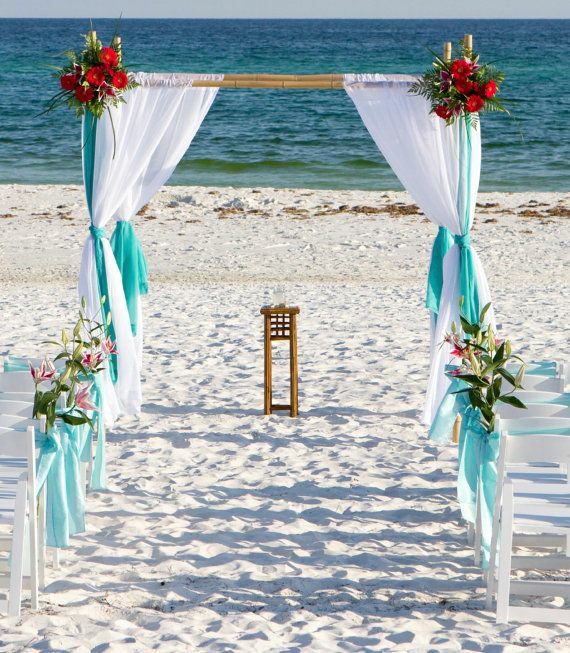 Not sure where to look for beach wedding arch ideas? Let me take the reins! 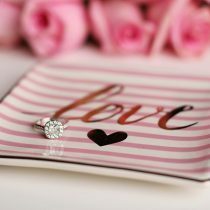 Do you have an ethereal theme for the décor of your wedding? 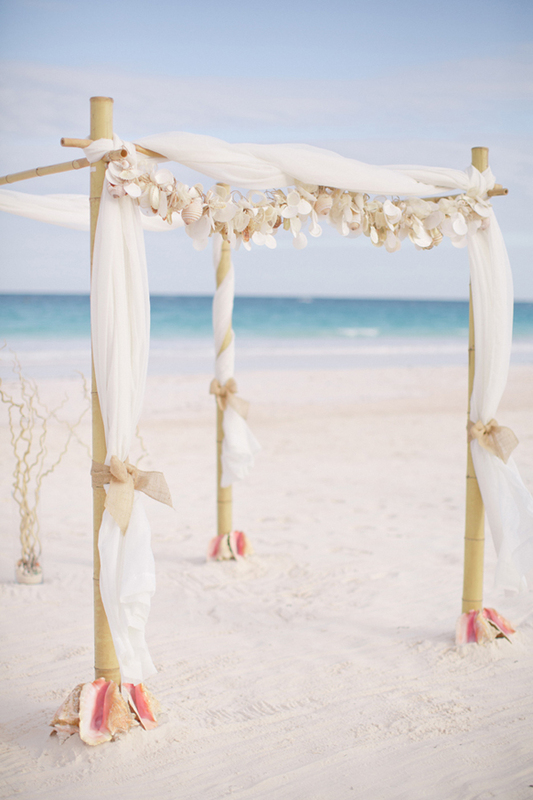 These beach wedding arch ideas would go perfect with the vision you have for your big day! 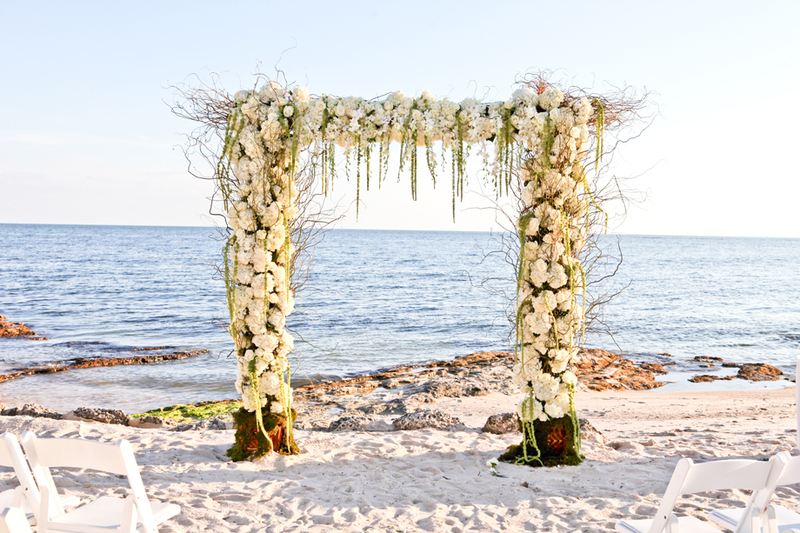 Made of wood and polished branches, this beach wedding arch incorporates sheer fabric with a simple yet elegant arrangement of flowers. This is for all the seashell fanatics out there! 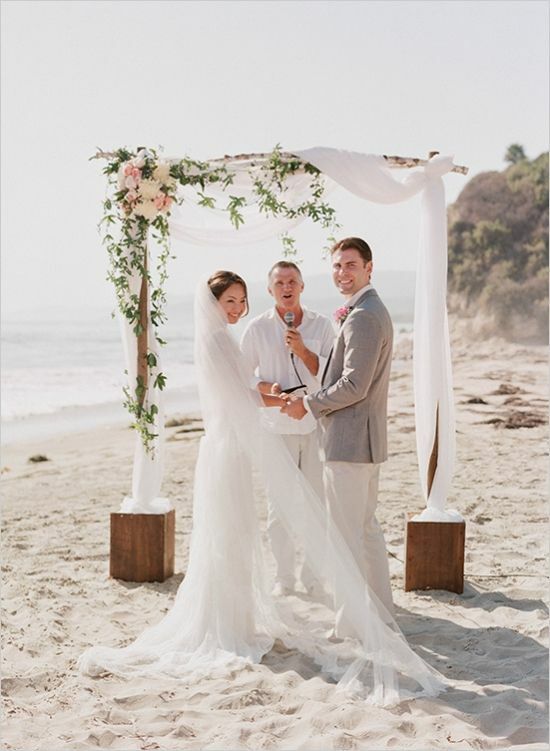 Simply twisting the beautiful sheer fabric around this bamboo arch creates a romantic neutral look that allows for the seashell adornments to shine and create their own wedding music while you are being joined to your partner. 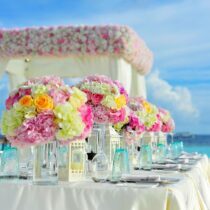 In a last minute rush and didn’t have time to throw together a nice theme for the beach wedding arch ideas that you had? No problem! Take some of your leftover fabric and a simple flower arrangement to expose the beautiful bamboo framing. The color of the frame adds great contrast! 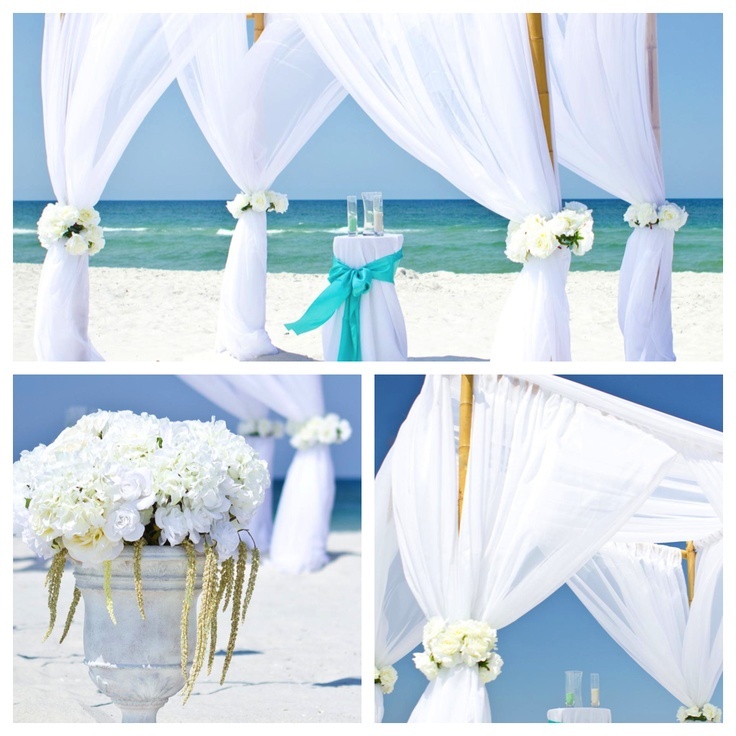 Add to your beach view and create an elegant curtain of bliss with this wedding arch idea. The bamboo frame holds a stunning view of starfish; reminiscent of the stars at night time. 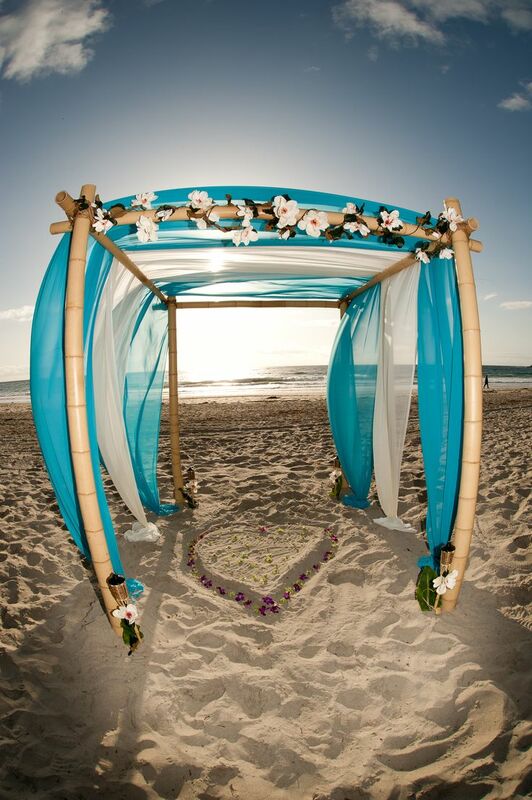 Create your own personal oasis of love with a wedding arch that is simply marvelous! A striking shade of blue adds to the ambiance while the gorgeous exotic flowers hang overhead to witness a loving union. I cannot get enough of these amazing shades of blue! Can you? Breezy fabric covers the bamboo frame and seals it with a kiss by being tied with a bouquet of flowers. 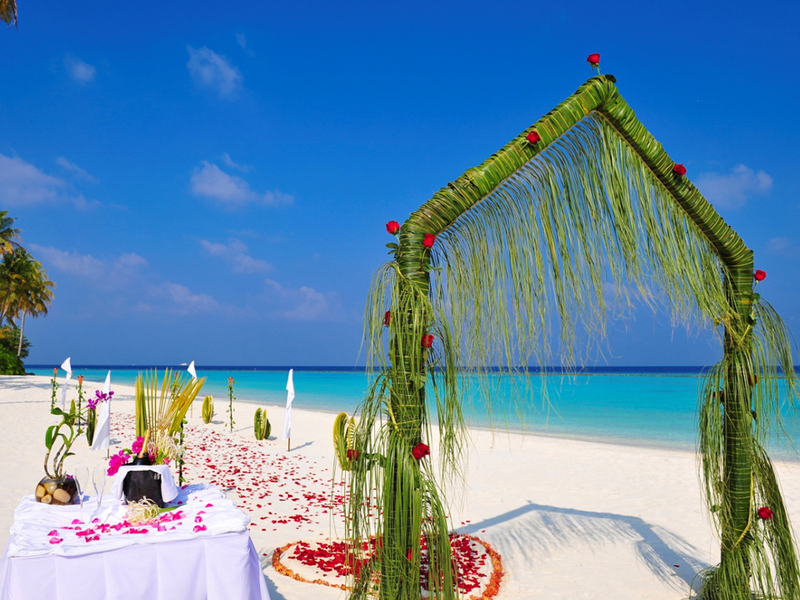 This décor seamlessly blends in with the immaculate white sand, which adds a heavenly touch. Are you looking for a more tropical feel? 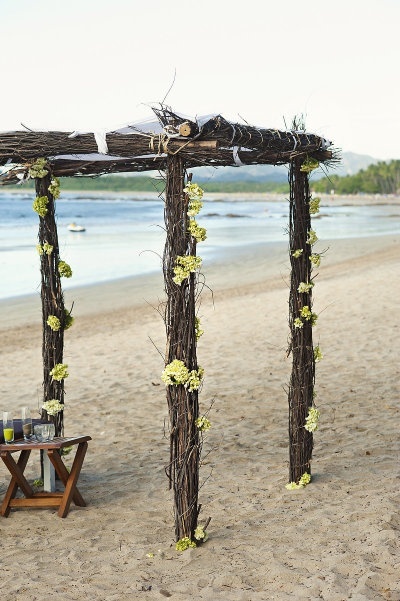 Make a bold but simple statement with beach wedding arch ideas made of vine branches. A gentle addition of a soft green adds a calming touch for a highly charged day. You can never have enough flowers! Fulfill your wild flower child dreams with a wedding arch covered in lovely blossoms and other wonderful foliage. Looking to throw tradition to the wind? 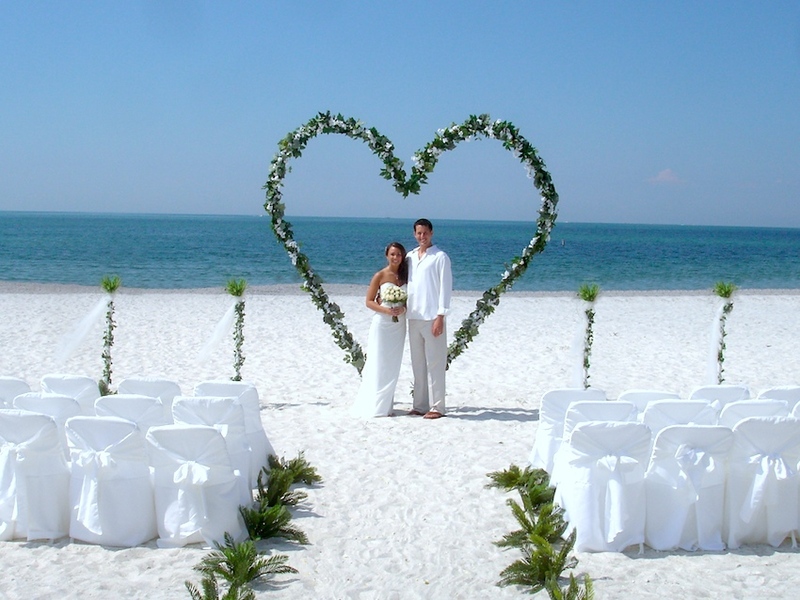 Make all your guests say “WOW!” with a heart-shaped wedding arch outlined by an exquisite wedding arrangement. Add some regal flavor with this Victorian-styled wedding arch. Soft pink roses and passionate lilies grace its brassy frame in the most perfect way. Not really feeling the bamboo or wood frames? 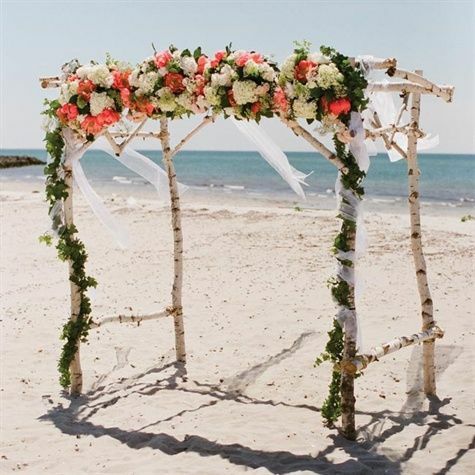 Switch it up and create much-needed shade by adding a wedding arch that could also function as a small-scale paradise! Pops of color like fuchsia, aqua, and yellow bring out the atmosphere in an astonishing way. Go for a rustic look with this intricate wedding arch. Sanded branches create a great foundation to showcase a number of bouquets with warming colors. 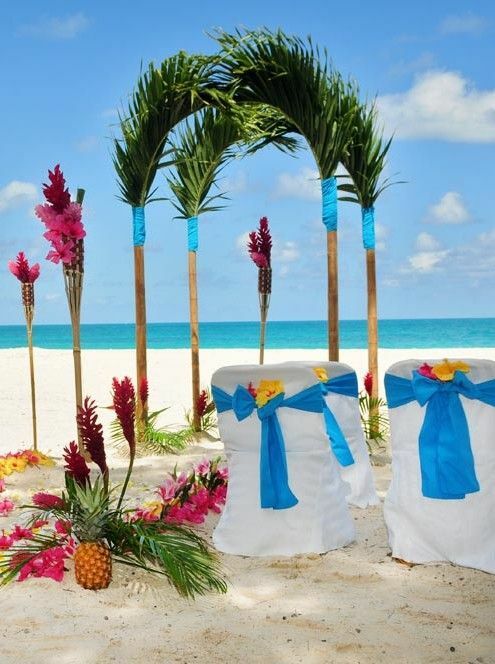 Get earthier with a wedding arch that instantly transports you and your beau to a tropical forest! A frame completely engulfed by palms and small roses adds a nice touch to the visuals. Is that a sigh of relief that I just heard? Great! 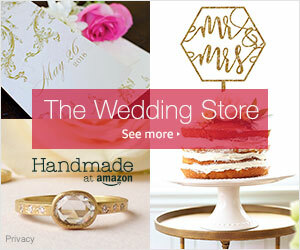 Your wedding planning just got that much better and you can now check this off of your long list!